Breaking things is never fun and often means throwing out something before its time. You may have loads of broken tea cups, picture frames, furniture or other common household items that you think belong in the trash. On the contrary, there are many different projects that you can do with those broken items and create stunning décor for indoors and out, all from things that you may consider to be trash. We have collected a list of 100 different projects that call for those broken items or common household trash. 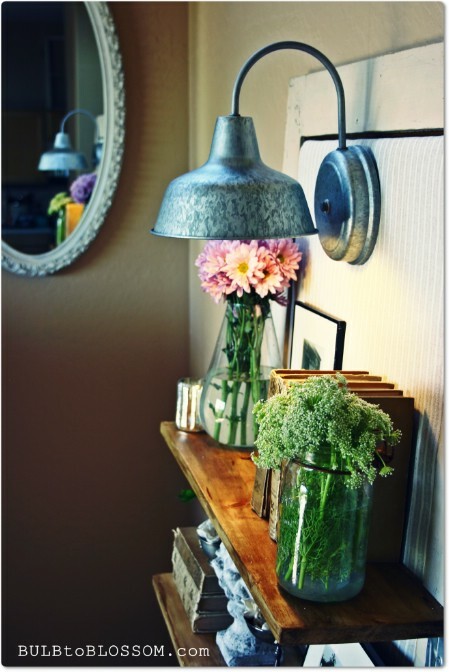 Repurposing is a great way to keep things out of the dump and to give your home a little décor boost. These projects are relatively easy, take little time and best of all, they allow you to completely repurpose that trash into something useful. Grab your broken household item and take a look at the different ways that you may be able to bring it back to life. You know what they say – One girl’s trash is another girl’s treasure. When you break (or your kids or pets break) the glass out of a picture frame, don’t throw away the base. 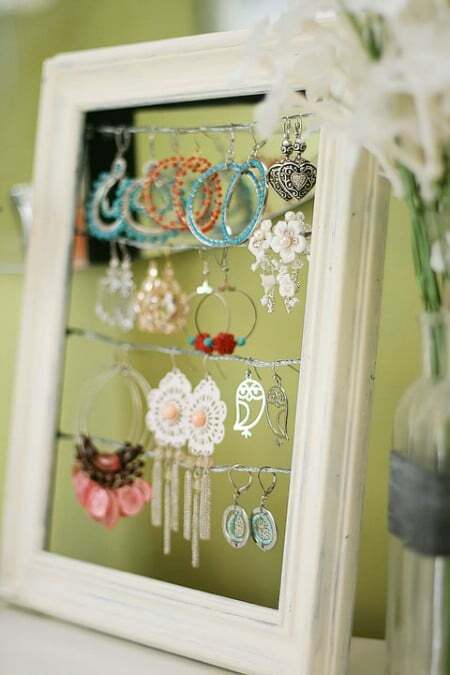 Instead, use it to create a gorgeous and very functional earring display. You’ll need some sort of wire (picture wire works really well) to hang your earrings on. Just run the wire across the frame and then hang up your earrings. This is a great gift idea for girls of all ages and you can run as much wire, making as many levels, as you want. If you have longer earrings that dangle, make longer levels. 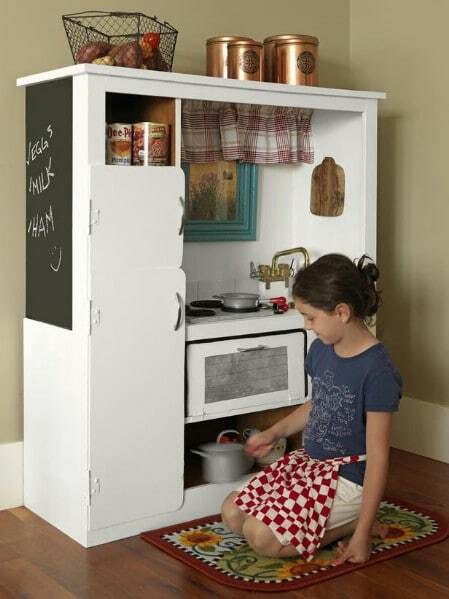 Instead of hauling that old entertainment center off to the dump, take a couple of hours and turn it into an adorable play kitchen for your little girl. The center doesn’t have to be in perfect condition as you can reinforce anything that needs it and it won’t really be expected to hold much weight, anyway. Just a little paint and imagination are really all you need to turn that old eyesore into something that any little girl will get hours of pleasure from. Plus, it’s a great place to store all those play cooking toys. If you have a rather large basket that seems to be coming apart at the seams, you can repurpose that basket into a great recycling center. The basket doesn’t really need to be able to hold anything so holes in the bottom are perfectly fine. You simply place waste baskets inside the wicker basket for your recycling and then label the sections so you know where everything goes. Not only does this help you to put that torn up basket to good use, it gives you a really attractive place to store your recyclables. Instead of throwing out those flip-flops when the straps come loose and you can’t keep them together, consider creating all new shoes from them instead. 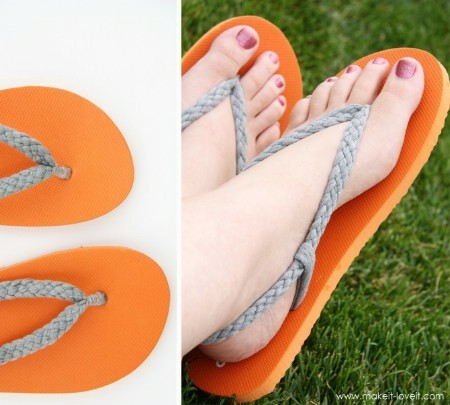 With just a bit of fabric, you can make these adorable braided flip-flops that are perfect for summer and will allow you to keep those old shoes even when they look like they are ready for the trash bin. You can even make the braided straps from old t-shirts or other clothing that has holes and needs to be thrown out, so this one is a double score. Baby lotion bottles tend to wind up in the trash when they are empty. After all, what could you possibly do with those empty bottles? You can create a really handy cell phone charging station that keeps your cords from being out in the open. 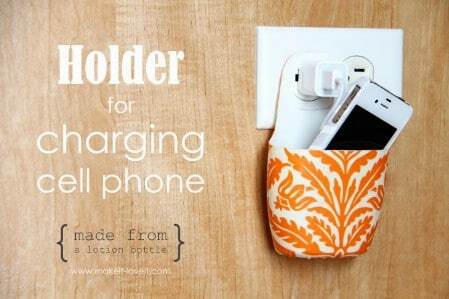 With just a bit of fabric, some cutting and a little time, you can make this really handy cell phone charging station that holds your phone and the cord right up next to the plug-in so you save space and your cord is not lying on the floor (which incidentally is a bad place for it if you have pets). Instead of sending those old wire baskets off to the dump, even when they are completely worn out, turn them into really attractive light fixtures. Even if the baskets have wires that have come loose or have holes in the bottom, you can use them to create the Anthropologie inspired light fixtures that will look great in the kitchen. You just have to prepare the basket and then connect to your pendant light. 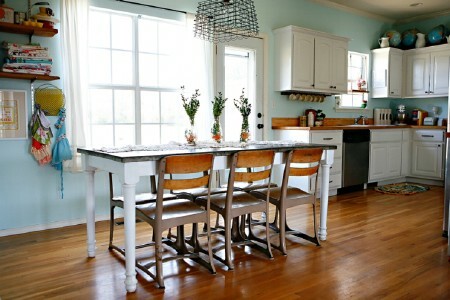 You can paint it to match your kitchen décor beforehand if you want or just leave it as it is. If you have terra cotta pots that are a bit worse for wear, you don’t have to throw them out. 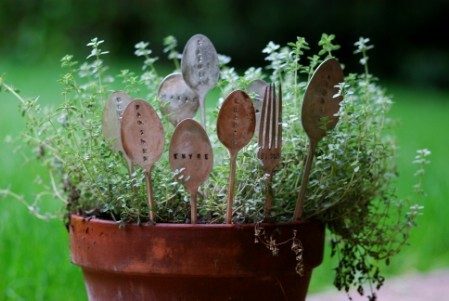 You can use them to make gorgeous garden markers. This even works if you only have one pot that’s broken. Just take a few pieces and write the names of your flowers, herbs or veggies with magic marker so that it won’t come off or you could be really creative and paint the names on (you can create a bit of artwork on them as well). 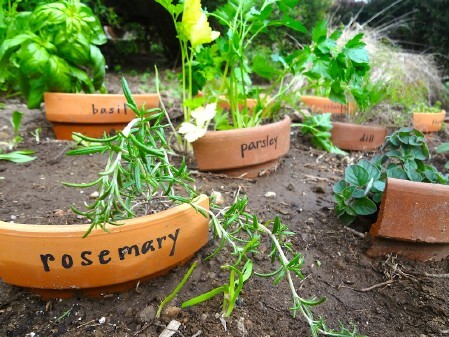 If you have several old pots that are not fit for planting, use them to label everything in your garden. 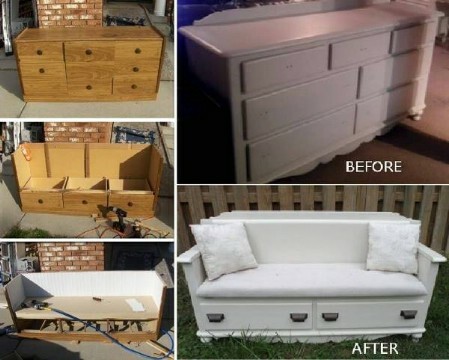 I love everything about this furniture makeover project! The instructions are simple and if you can manage to get one of these old dressers for cheap this is a must do project! 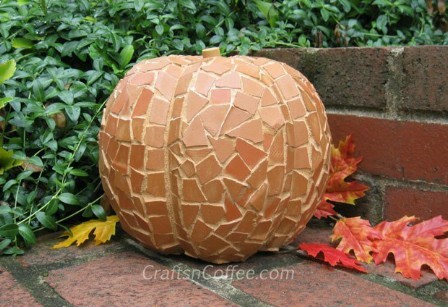 Those old broken terra cotta planters can be used to create beautiful pumpkins. 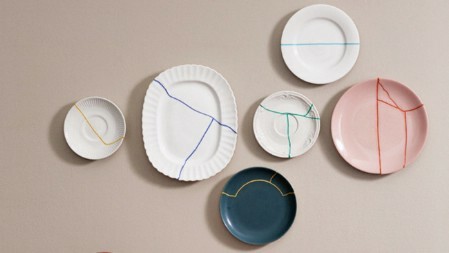 You can actually do this with any number of ceramics so if you have plates or saucers that are broken, use them as well. You just have to make small pieces and then put together a mosaic-like look on a foam ball. This is also a great project for Christmas only you can use holiday colors to create ornaments. They are really easy to make and it beats just throwing those broken planters and plates in the trash. Instead of instantly throwing out those cracked plates, why not turn them into art that you can display on your kitchen or dining room wall? This is a great project for plates that are actually broken into two or more pieces. You probably won’t want to glue them back together if they’re shattered but if you have just a few larger pieces, you can just glue them together in this manner and use them to decorate your walls. It’s a really great project for older dishes that you just can’t get rid of even when they are broken. Use those cracked terra cotta planters and those broken or cracked plates to create a beautiful birdbath for your garden. You can use planters of different sizes so if you have several that are damaged, this is a great way to repurpose them. You just have to paint them (if you want) to make them a bit unique and then assemble. You will love putting those cracked plates and planters to better use and the birds will love you for it as well. When the metal in an umbrella breaks, it is normally time for the trashcan. 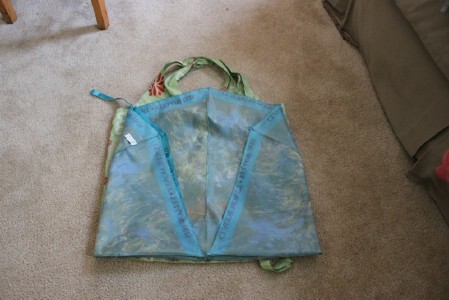 Now however, you can use the fabric from that umbrella to create these really neat foldable reusable bags. There is a bit of sewing involved but overall, it is really easy to create these little bags and they fold up into a roll so you can tote them with you wherever you are going. These are great for impromptu shopping trips when you need a reusable bag to carry things home. They’re so small that you can keep one in your purse and never know it’s there. You would probably throw out a broken bottle normally. You don’t have to, though. 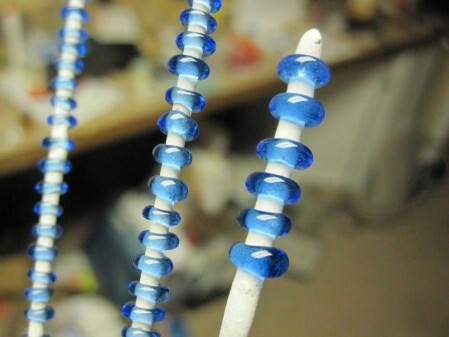 You can use this method instead to create beautiful glass beads from that bottle. You can then use the beads to make any number of other crafts from jewelry to wind chimes or just whatever you want. Please note that this can be a dangerous craft so you should always exercise precaution and protect your eyes from glass shards. If you can get the hang of it though, there is no limit to what you could create from those old bottles. If you have a kitchen table that is scratched, broken or otherwise damaged or one that you just don’t really need any longer, don’t throw it out. Instead, use it to create two adorable wall desks that are sure to be a hit at your home. You don’t really need the very center of the table so this is a great project for tables that are really damaged in the middle. You simply cut the end sections off, paint or stain them and then affix them to the wall. Ok, so bottle caps aren’t really broken when you throw them out but they can certainly be repurposed anyway. You can use them to create adorable tealight candles which are perfect for when you need a lot of candles (think weddings or other larger events). You just have to clean the bottle caps, add a wick and then pour in some wax. The wax actually comes from melted crayons so this is a double score. You get to keep those bottle caps out of the dump and you have something that you can do with those old broken crayons. Instead of tossing those broken crayons, make new rainbow crayons from them. This is such a simple project and the kids are going to absolutely adore these rainbow crayons. You need a few tin cans, empty prescription bottles or those little plastic canisters that film comes in and a few broken crayons. You basically melt the crayons in the tin cans (make sure to thoroughly clean them first) and then pour into the bottles until they set. 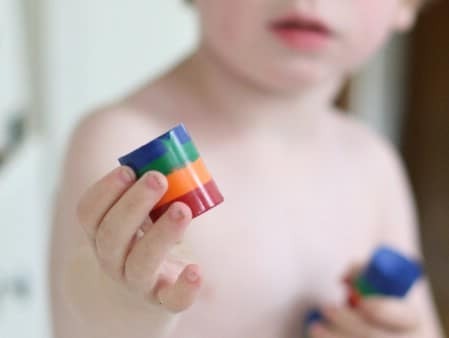 The crayons are the perfect size and you can do them in as many colors as you want – depending on how many broken crayons you have. 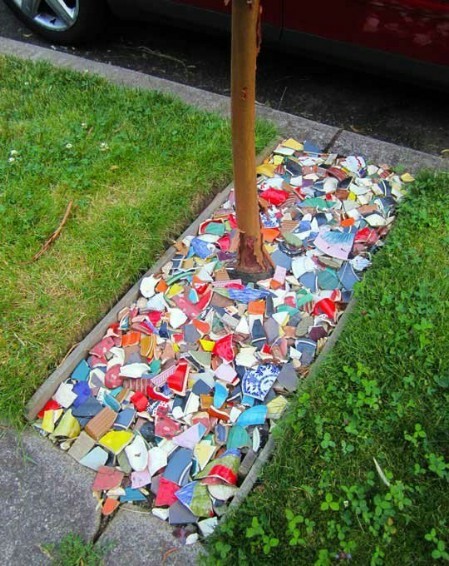 While you certainly won’t want broken plates in your actual yard, you can use them in place of mulch to give certain areas a bit of color. Instead of filling in around your trees with mulch or pebbles for instance, use those broken plates or terra cotta pots. You can do them in all one color to make it look really elegant or mix it up for a look that is more fun and exciting. It’s a lot cheaper than mulch and pea gravel and will give you a really unique look in your garden areas. 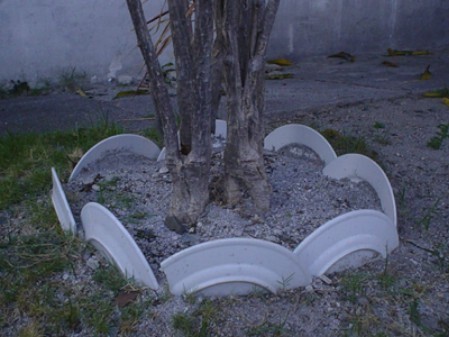 You can use broken plates and saucers as edging for around garden areas and trees. If you have some old china that you just really can’t bring yourself to part with, use those plates to create a beautiful border for garden areas. Plates that are cracked or chipped can be broken in half (carefully of course) and then the halves simply stuck into the ground. You can use the same colors or mix it up a bit. This helps you to take care of those plates and gives you a really inexpensive yet beautiful edging for your favorite outdoor spaces. If you have old books (you know, the ones with half the pages missing) you don’t have to throw them out. You can actually use old hardcover books to create a really neat and really functional art book that holds all of your child’s art supplies. These are great for traveling because they take up little room plus they have a very nifty little handle for easy carrying. You need a bit of fabric to make holders for pencils or crayons and then the handle and of course, the art supplies. Push-up crayons are a bit expensive and buying multiple colors may simply not be in your budget. What better way to get rid of those old broken crayons than by making your own crayon push-ups? You can also do away with those empty glue stick containers at the same time. You just have to clean the glue sticks and then pour melted crayon into them. Kids can then roll the crayons up and down as needed. 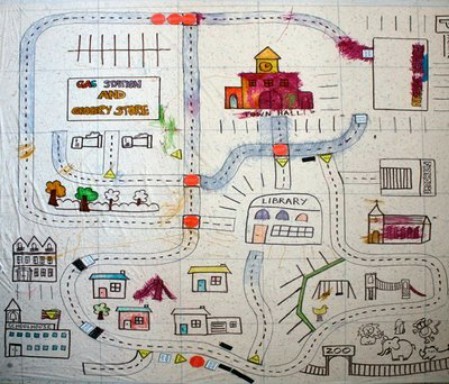 This is a great project to let the kids help you with since it’s really easy and not at all messy. You can use broken plates, saucers, teacups or just about anything similar to create beautiful designer planters. 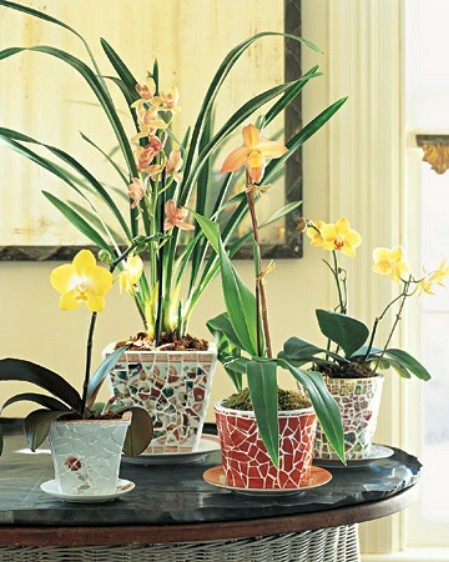 You just use a mosaic method to attach the broken pieces to a terra cotta planter with strong glue or mod podge. This is a great way to show off your creativity by making designs and patterns or just put it on there however you want. 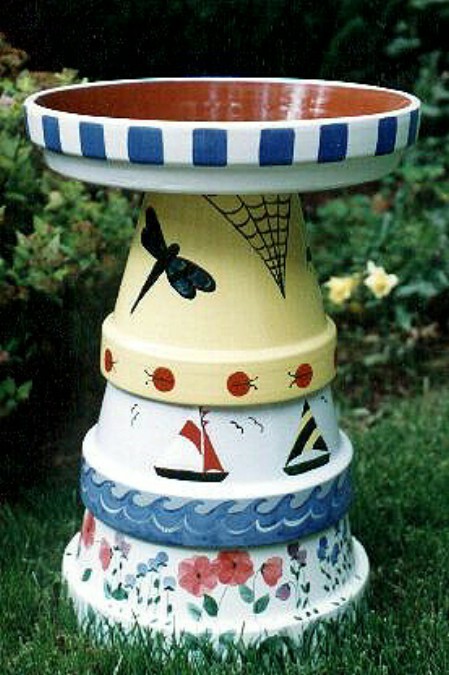 Your planters will be unique and beautiful and you won’t have to send those old broken dishes off to the dump. Has your globe come apart at the seams? If it has, and you don’t want to or can’t glue it back together, use it to create these really unique lights instead. These are great for kids’ rooms or you could even have them in the kitchen if you wanted. They are functional and educational at the same time. You can paint the insides a contrasting color before you mount the lights to really make them stand out or just leave them their natural color. Either way, these lights are sure to spark a conversation. Empty jars or vases and a few broken crayons may normally end up in the trash pile but you can combine them and create really colorful candles. Just melt the crayons and pour them in color by color. You could do these in old Mason jars for a really rustic looking candle or use any glass jar that you are planning to throw out. These would make really neat gifts if you wanted to combine a couple in a basket and they take very little time to create. You can take broken jewelry pieces and put them together to create stunning bangle and cuff bracelets, and it really doesn’t take that long. Just take your broken jewelry and a few jewelry making tools if you have them (if you don’t, they’re really inexpensive at your local craft store). You can make unique and very creative pieces that match your style or create something special to give away as a gift. 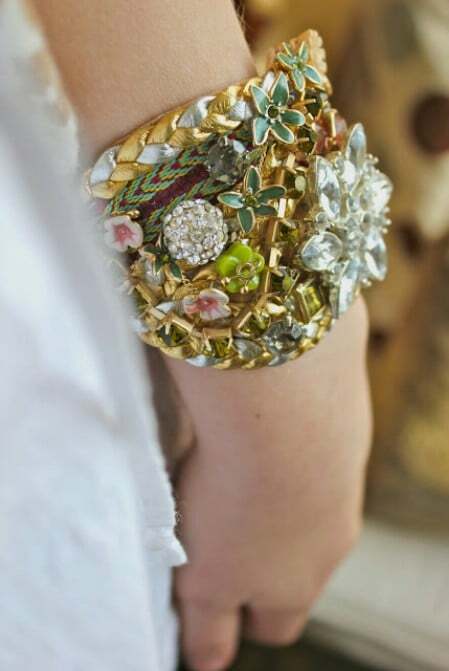 There is no need to throw out those old costume jewelry pieces when they’re broken. Just make something completely new with them. Take old broken earrings, necklaces and bracelets or broaches and create beautiful magnets from them. 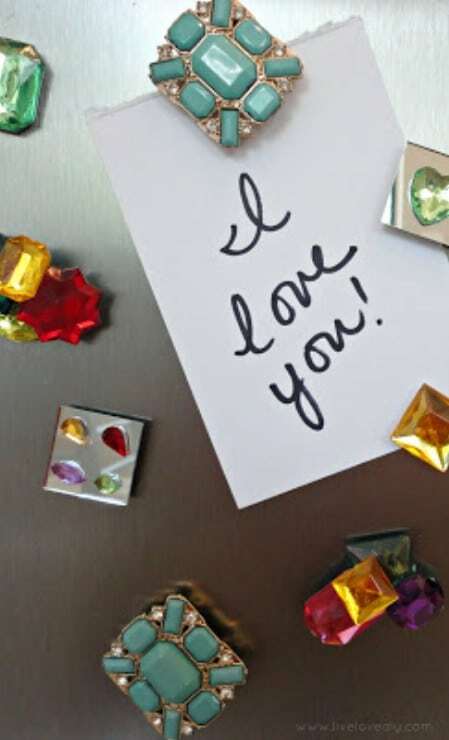 You just have to glue the jewel to a magnet and then use them to keep your refrigerator or bulletin boards beautiful. If you have larger pieces then you can make a magnet from them or put smaller ones together to create a pattern and then glue to a magnet. Hot glue works fine to keep the jewels on the magnets and your refrigerator will look elegant and stunning when you dress it up with your old broken costume jewelry. If you have a chipped or broken teacup and a saucer that you plan on throwing out, make a bird feeder with them instead. You can make these in about an hour and you only need a teacup or mug, saucer, glue that is waterproof and something to hang the feeder on or with. Add your birdseed and you have successfully turned that trash into a treasure. 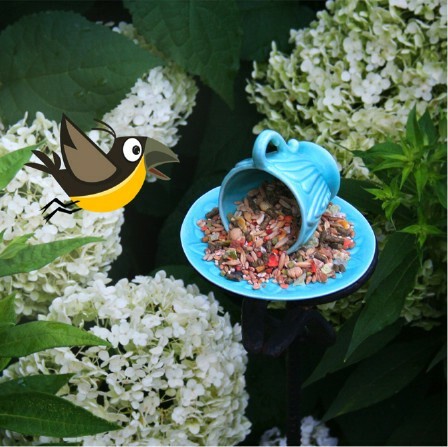 Your birds will love their new feeder and you will love the simple elegance of having a beautiful teacup and saucer in your yard. Broken bracelets, earrings and necklaces can be used to create beautiful cabinet pulls for the bathroom or kitchen, whatever your preference. You just take that broken jewelry and glue it to a threaded post. You can pick up packages of threaded posts with screws at your local hardware store for around $1 or so. Use epoxy glue or something similarly strong to hold the jewels in place. Larger pieces of costume jewelry are going to work best or if you have smaller pieces you can glue them to a base and then glue to base to the post. When CDs become scratched or chipped, they aren’t going to work properly any longer. 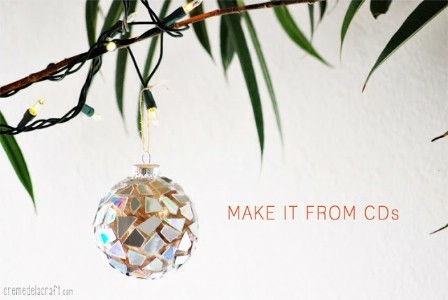 Instead of throwing them in the trash, use them to create mini disco ball ornaments that can grace your tree this coming Christmas. You just have to break the CD (assuming that it’s relatively still intact) and then use a hot glue gun to glue those pieces to glass ornaments. You can try this with Styrofoam balls as well if you want but glass works much better. 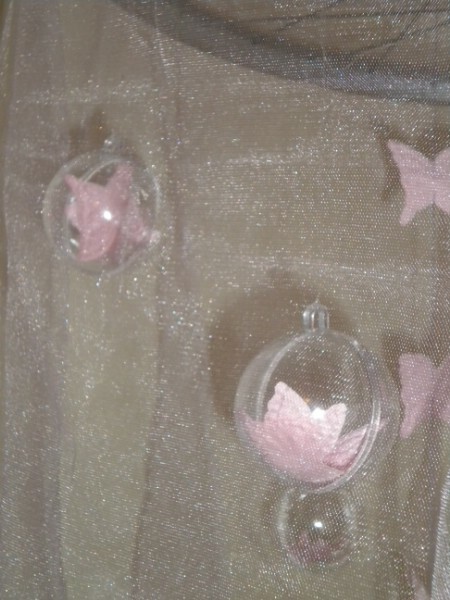 You can do clear glass or cover ornaments in different colors with the silver CD to create a really colorful look. 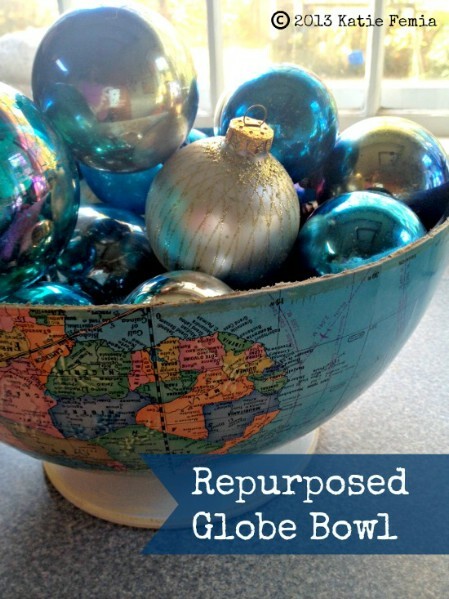 If you have an old globe that’s broken in some way, you can take the best half and create a beautiful bowl for displaying potpourri or if you paint the inside, you could even use it as a whimsical serving bowl. You will need a round wooden plaque to glue to the bottom of the globe in order to keep it level when it’s full but you can pick these up at your local craft store for very little. Or, if you have a piece of plywood, just cut one yourself. Then simply glue the globe half to the base and have a great bowl. If both halves of your globe are in good condition, you can make two bowls. If you have an old desk that is broken, worn out or otherwise damaged, you don’t need to throw it out. Instead, use it to create matching nightstands. 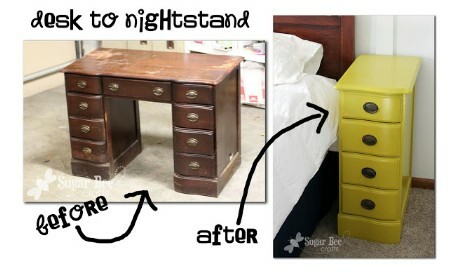 Even if the top is completely beyond repair, you can make nightstands out of the desk and then simply sand and paint them to match your current bedroom décor. This works best with desks that have the same number of drawers on each side or you could just create one stand out of the desk if you want or if it doesn’t have matching drawers on each side. 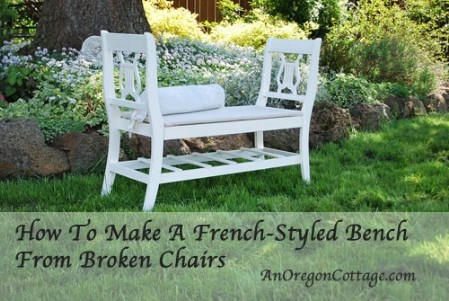 Instead of tossing those old broken dining chairs, take them and create a stunning French inspired bench. This is one of the most elegant projects for broken furniture and one of the easiest as well. You will need two chairs of the same style and you’ll need to create a wooden “box” for the bench seat. Then basically paint it whatever color you want (white makes it look very elegant) and add a light cushion. This is a great seat for the foot of the bed, an entryway or just about anywhere else in your home and you can make it for virtually nothing (compared to buying one at hundreds of dollars). 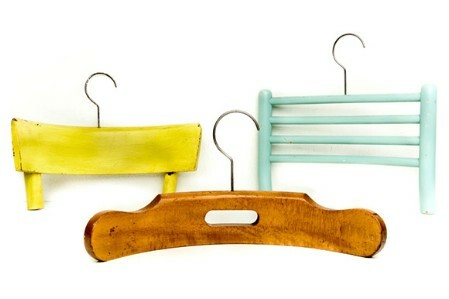 The backs from broken chairs can be used to create very unique and cool hangers. You simply have to remove the backs (or pick them up if the chair has completely fallen apart) and then add the hanger hardware. While you probably won’t want to make a ton of these for filling up your closet, they do give you something to do with those broken chairs that is useful and helps you to keep that trash out of the landfill. Plus, they’re whimsical enough to make wonderful gifts. A chair that has lost its legs is utterly useless in the dining room but it could be perfect for the lawn – when you make it into a swing that is. 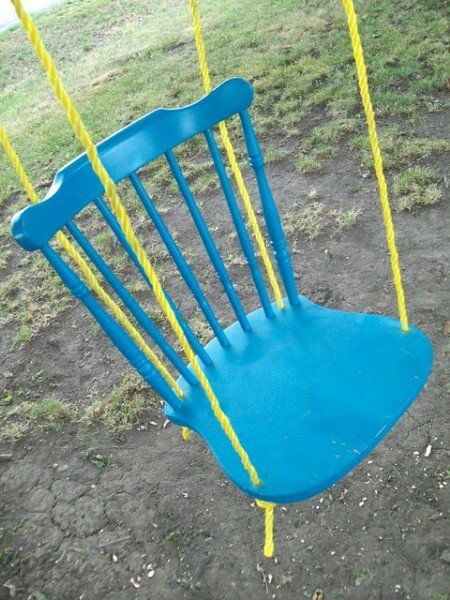 You can take old chairs and simply paint them, add some hardware and hang them from the porch or a large tree in your yard. This is a great idea for anyone who has a few dining chairs that they are considering throwing out because the legs are not sturdy. Just turn them all into swings, paint them different bright colors and decorate your lawn with them. You don’t need the entire bicycle for this project, just the wheel. 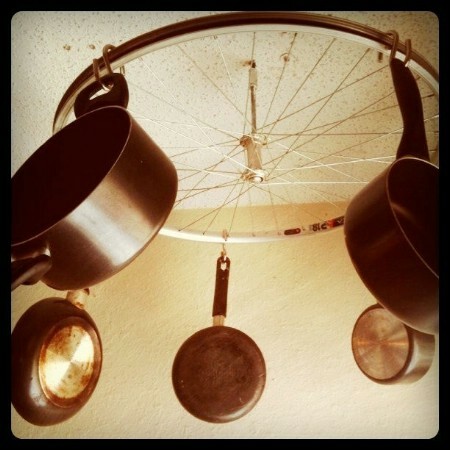 Bicycle wheels are the perfect size for hanging pots and pans and because they are round, you can create a turntable type rack from them so your pots and pans will always be easy to access. You just have to attach the hanging hardware to the wheel so that you can affix it to the ceiling. Then add the hooks for your pots and pans. 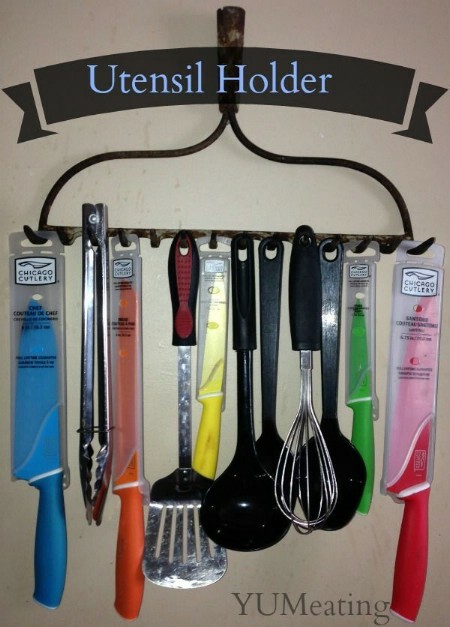 This makes good use of broken bicycles and gives you a bit of organization in the kitchen. This isn’t nearly as difficult as it sounds. You don’t actually hang bicycles but you can make a great mobile with the wheel of a broken bicycle. The circle is actually perfect for the shape and the spokes on the wheel are great for hanging things. 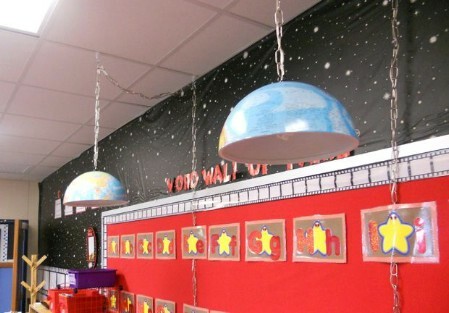 This would also be a great idea for solar system projects when you have to have the planets, sun and moon hanging in sequence. The round shape allows the mobile to turn easily and you can add just about anything you want to capture the attention of your little one. You could even put a music box on it if you wanted. 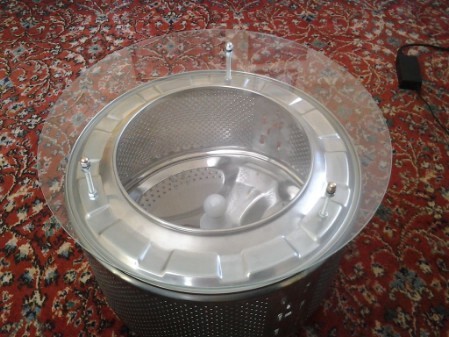 You don’t actually need the entire washing machine for this project – just the inside drum. You can build a great fire pit for the backyard and save part of that washer from ending up in the dump at the same time. You will need to use a high heat paint and there is a bit of work involved, but not nearly as much as you may think. 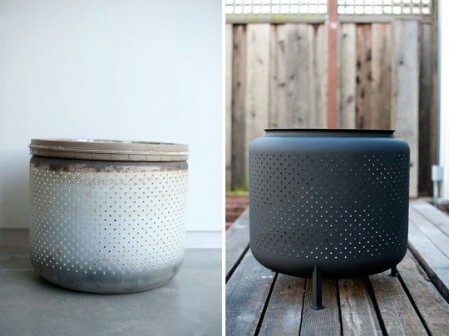 The washer drum gives you the perfect shape so your fire pit will be perfect and it’s really easy to create. Just imagine the fun you’ll have sitting by the fire on cool nights and you save a bit of trash while you do it. 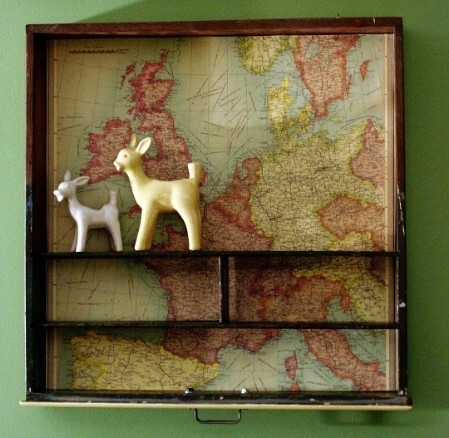 If you have a broken dresser, you can use the drawers to make wonderful map shelves. This is great if you have a dresser that you are turning into something else and you don’t really need all of the drawers. You can add a map to the bottom of the drawer and then hang it flush on the wall to create a shadowbox type shelf that will hold little collectibles. This is such an easy project and doesn’t require that the drawer be in perfect shape so even if the bottom is falling out, you can create these shelves instead of chucking that old dresser in the trash. Broken ladders are certainly not something that you want to continue to use. If you have an old wooden ladder that is simply not safe for use any longer, don’t instantly throw it out. Instead, take it apart and use the two sections as matching bookshelves. You can create a great rustic look with those old ladder sections and either hang them on the wall or just sit them up against the wall (assuming that you sturdy them up, of course). 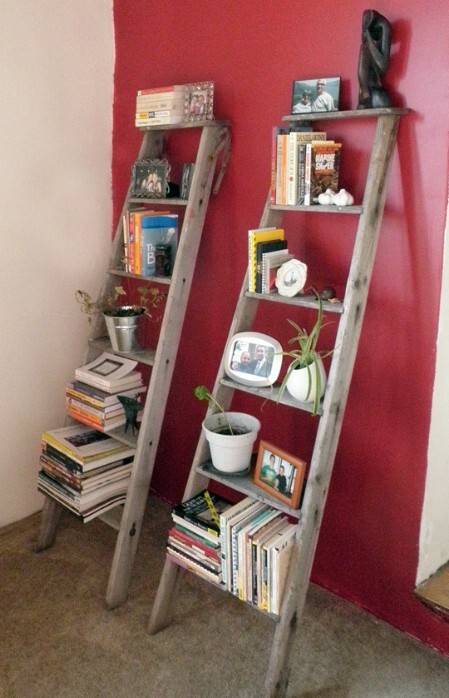 Each ladder rung will hold books, collectibles or just about anything else you need on there. If you love the industrial look or you just want a coffee table that is fun and unique, take the drum out of your broken washing machine and make it into a table. You can cover the top with a round piece of glass (that you’ll want to have cut) and then use the inside to store things or create a little shadowbox effect. The possibilities for this one are endless. You can also use a wood top if you prefer or install lighting inside so that your coffee table helps to illuminate the living room. A broken suitcase (the heavy vintage ones) is not likely going to do you much good unless you take the time to turn it into something really useful. 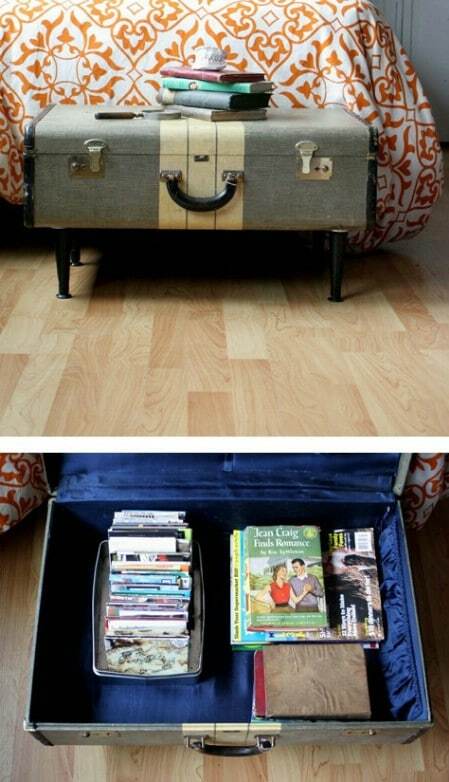 By adding legs to the suitcase, you can create a great table that is perfect for the living room or the foot of the bed. 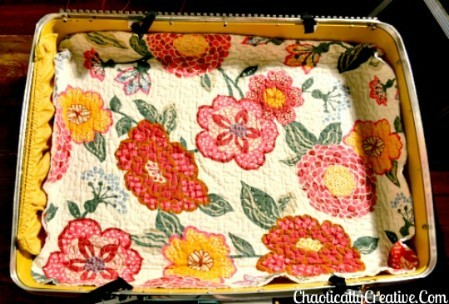 You can store things inside the suitcase so it’s great for keeping the room organized and it’s got a really neat vintage look to it which is perfect for those who love that type of décor. Have an old piano that no longer works? If you are thinking of sending it to the landfill, don’t. You can use it to create a bit of storage and organization instead. An old upright piano is the perfect size and shape for a hidden workbench. 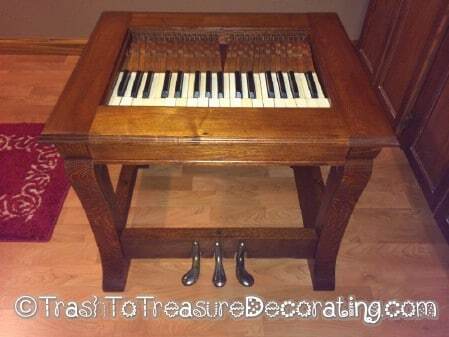 You will have to remove some of the hardware from inside the piano to make room for tools and such but this is great for garages or workshops and much less expensive than going out and buying a bench. Plus, the piano bench works great for storing books and magazines. Your trash could actually be your pet’s treasure. If you have an old broken vintage suitcase, you can make your little dog or cat an adorable bed from that suitcase. You basically just have to remove the top (so it doesn’t close on your little furbaby) and then add the stuffing for the bed. You can also add legs and if you have more than one pet that needs a bed, use the top and bottom to make two beds. 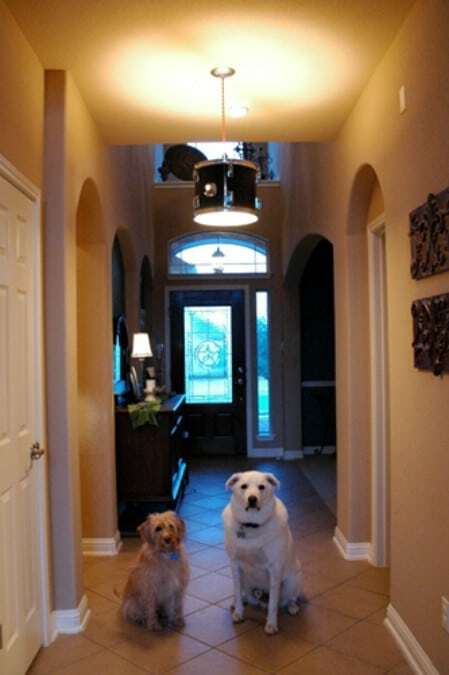 This is a really neat and very easy project that is sure to please your pets and will give you a bit of added vintage décor as well. 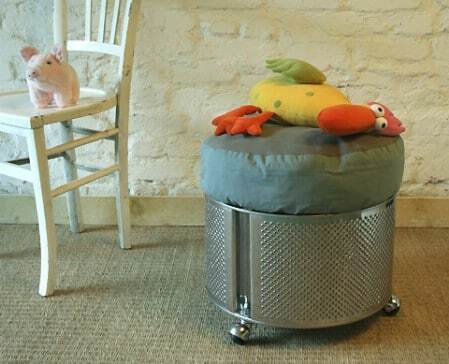 Take out the drum from your broken washing machine, add some stuffing and you have the perfect little stool. You can also add rolling caster legs to it to give it a little something extra-special. You can fill the center with stuffing or think about creating a top of sorts to cover the large drum hole in the center. Add the stuffing seat on top of it and make it removable so that you can use the inside for storage. This is great for kids. 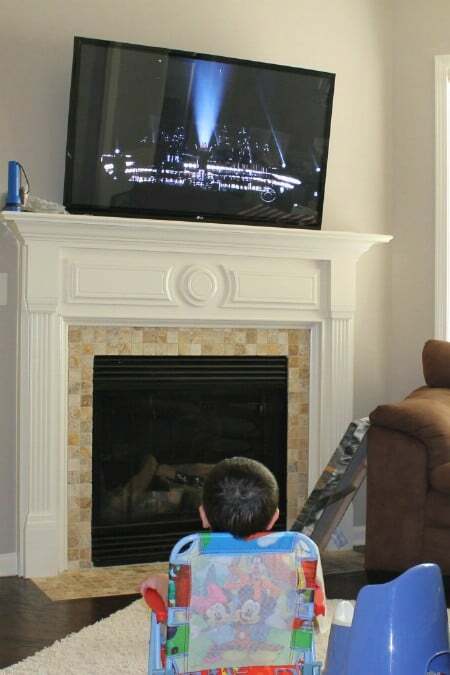 You can keep their coloring books or other toys inside and they can sit on it while they play. Really? A couch from an old claw foot bathtub? Absolutely. This is a bit more complicated than some of the repurposing projects but it would be so worth it to create this beautiful and elegant couch from an old ceramic or iron tub. You just cut out the front to make room for the couch, add the stuffing and then paint if you want. If you have an old tub that you are thinking of throwing out, try instead to create this stunning couch. You can use it in the bedroom, living room or wherever you need a little extra seating. Those old bent or broken spoons and forks don’t have to be tossed. Instead, think about turning them into hand stamped plant markers. This is a really neat project that not only does away with that old silverware, it gives you a really authentic and rustic looking garden area. This easy process actually stamps the names down into the metal so it will look like you’ve had custom markers created when in reality, you can create them yourself from silverware that was ready for the trash. Instead of tossing an old dresser when the drawers no longer function properly, turn it into an elegant TV stand. You can take out the top three drawers and use the others for storing movies, CDs or game system accessories. With a little sanding, paint and a few hours, you can create an entertainment center that looks like you paid a fortune, but actually only costs you a few dollars. You could also do this for bedrooms and use the remaining drawers as dresser drawers if you wanted. This one takes a bit of work but it is completely worth it, particularly if you are someone who really enjoys technology. 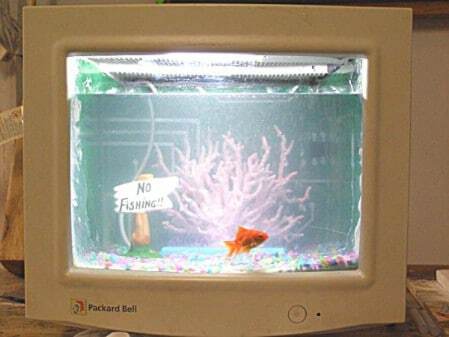 You can hollow out that monitor and make a wonderful fish tank from it instead of sending it to the dump. Kids will absolutely adore fish in a computer monitor and it’s relatively small (depending on the size of the monitor) so it takes up very little room. Note that this is for older type monitors. You can’t really do this one with a flat screen monitor. That old upright piano that no longer plays a tune doesn’t have to be torn apart and thrown away. You can make a beautiful bar from it that is sure to be the hit of all your cocktail parties. You will need to take out the actual playing parts and then paint or stain the piano whatever color you want. 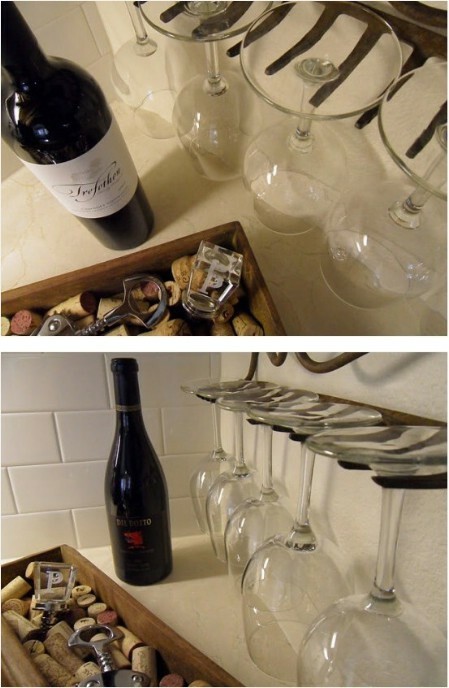 The underneath of the keys can be turned into a great wineglass holder and a mirror on the back makes it even more elegant. 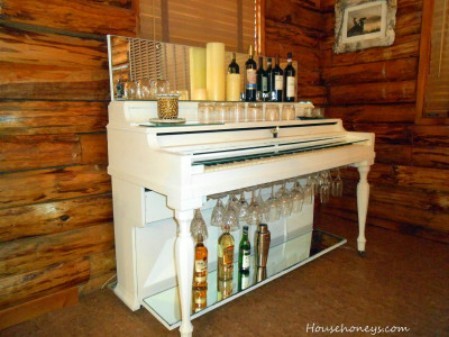 What a wonderful way to pay tribute to that old piano! 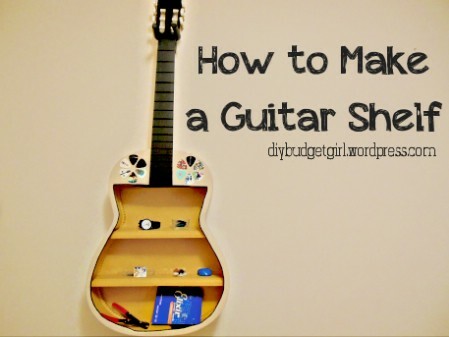 If you have a guitar that simply cannot be tuned any longer or is broken in some way, turn it into a really neat shelf. You will need to remove the front of the guitar (hopefully without causing any more damage to the back and neck) and then simply add shelving inside. Hang this on the wall in your music lover’s room or keep it in the living room for everyone to admire. 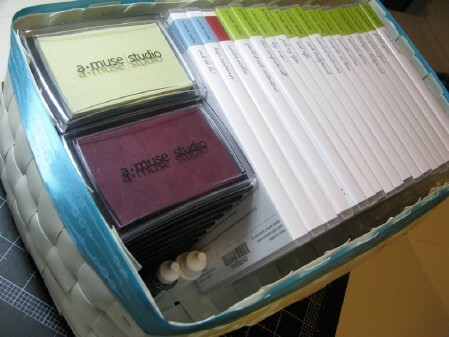 This is a great place to store CDs and other music paraphernalia or you could use it as a bookshelf for sheet music. Instead of throwing out that broken stemware, use it to give light to plants. When stemware stems are broken, they will fit nicely into potted plants. Just stick them inside the dirt by the plant and add a tealight candle to the actual glass part. This is a great project that takes only seconds and can be used for both indoor and outdoor plants. Be careful not to cut yourself on the glass. This works with any glass that has a stem for the base. If your fridge is broken and you’ve had to replace it, you may think that hauling the old one to the dump is the next step. Instead, turn that broken fridge into a great outdoor ice chest. You have to be sure to remove everything that causes the fridge to run (or did before it broke). Then just cover it with wood (cedar works really well) and create an ice chest that is perfect for your outdoor kitchen or deck. You can use the racks and baskets from the fridge for holding items inside the chest. When the handle breaks on your rake, don’t automatically trash it. You can use the rake part to create a really neat and rustic looking holder for kitchen utensils. You just have to clean the rake top up a bit to remove any rust and you may want to think about sanding and painting it if it’s really rusty. Then just hang it on the wall and stick your spoons and ladles on it. 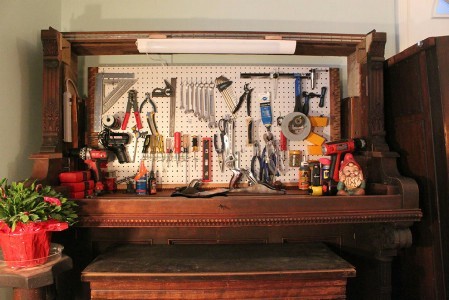 This is also a great project for holding tools in the garage or tool shed and you don’t really have to clean it up for that. Broken mini blinds normally find their way to the trash can. After all, what could you possibly do with them other than throwing them away? You could actually use them to make a very neat little basket that takes very little time. You just use a weaving method to create the basket and remember to staple together as you go along so that the basket is sturdy. If you have pets that tend to tear up your mini blinds, use them to make baskets instead of tossing them. These baskets are perfect for holding office supplies or just about anything else you can think of. Keep the top of that old rake when it breaks and create a rustic wineglass holder. The sections of the rake top are perfect for holding stemmed glassware and it gives you a great country look. You can simply sand away any rust that may be on the rake and hang it in its natural form or you can paint it with spray paint if you need it to be a specific color to match your kitchen or dining room décor. This is a great project for those old rakes that have broken handles but the tops are still in good condition. 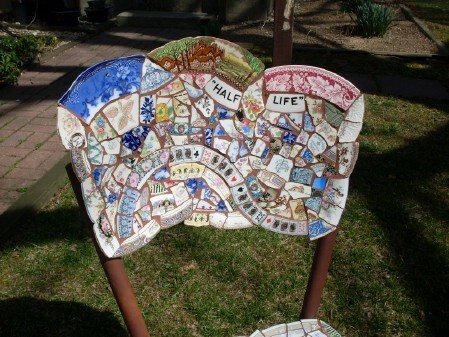 Instead of throwing out that china when it’s broken, use it to create a stunningly beautiful mosaic chair. This chair is relatively easy to make considering how complicated it looks and it’s a great way to preserve old china that you may simply not want to get rid of even when it’s broken. You just take the broken pieces and put them together on an old chair base in whatever pattern you want. 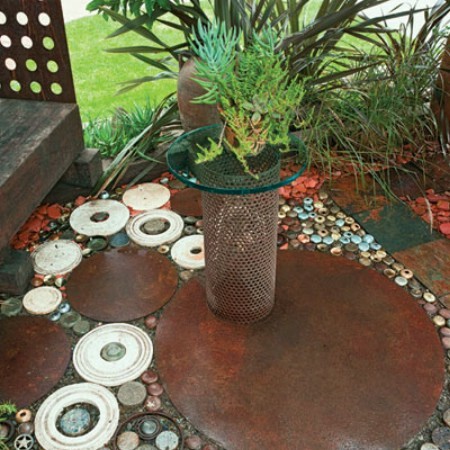 You can use larger pieces or create a smaller mosaic pattern if you have smaller broken pieces. Old mini blinds that are no longer fit to hang aren’t necessarily trash. You can take those blinds and create picture frames in a number of sizes and colors. No matter what material your blinds are made of, you can make beautiful frames for your favorite pictures that are unique and will help you to save money on buying frames for those prints. You just have to measure the pictures that you want to frame so that you have an idea of how many pieces of the blind you need. Then just stack and staple the pieces together to create your frame. Instead of throwing out those decorative teacups or putting them in the back of a cabinet, use them to create elegant Victorian looking curtain tiebacks. 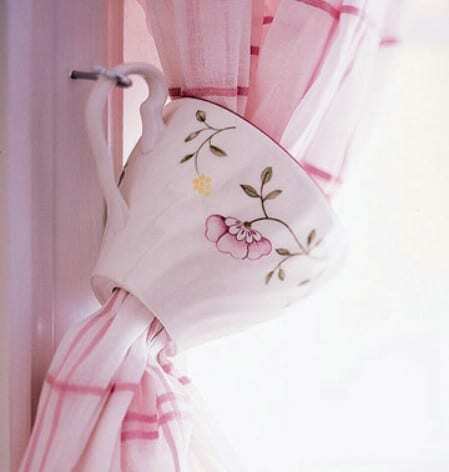 You will need to cut a hole in the bottom for the curtain to come through and then screw a cup hanger into the window frame so that the handle of the cup can be hung. This is a beautiful look and is perfect for formal dining rooms, especially near the china cabinet where you have other dishes in the same pattern sitting. If you have old dishes that have seen better days, you can use them to create beautiful lighting for your kitchen or breakfast nook. You need cups and saucers in the same pattern or you could use different patterns and make it really unique and interesting. 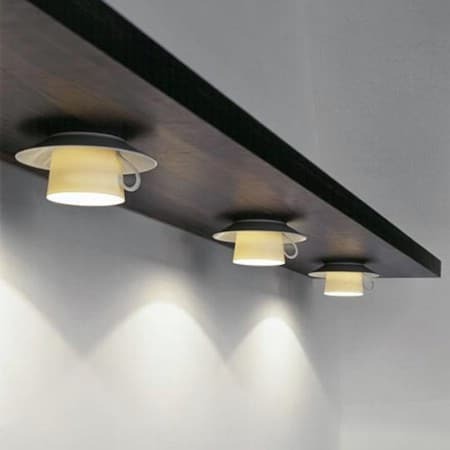 You will need to attach the lighting and this is better done on a wooden plank so that you can keep all of the cups and saucers straight and even. This is a neat project though and one that really won’t take you long. 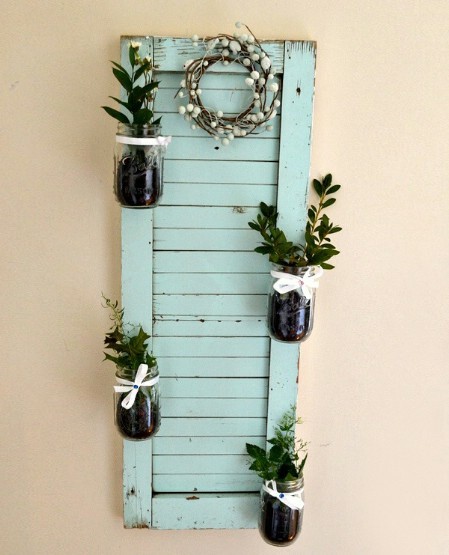 A broken shutter and some mason jars give you the perfect materials to create a little mini garden for the home or yard. You just have to clean up the shutter, paint if you want and then add the mason jars which are held in place with hot glue. If you are planning to add heavier plants, use clamps. You can cover them up with twine or ribbon. 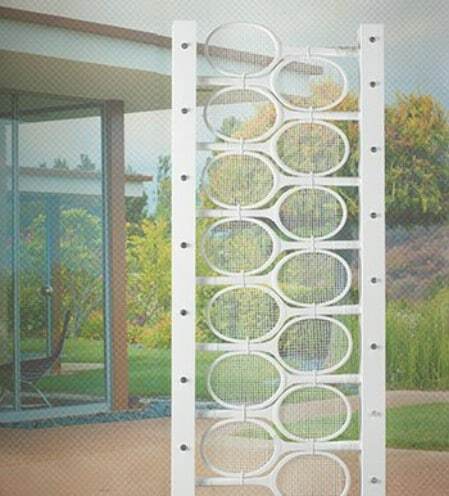 This is great for a kitchen herb garden and keeps you from having to haul those old shutters off to the dump. 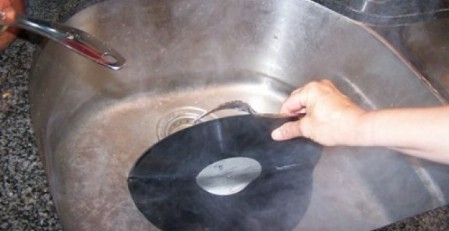 Have some old vinyl records that are scratched beyond repair? You can use those records to make really cool bookends, which are perfect for teenager’s bedrooms or family rooms for the musically inclined. There is a really easy method that will allow you to bend the bottom of the records so that they sit flat on a surface. Then you just have to add your books. This is also a great way to organize those records or CDs that you have lying around. Just create the bookends from torn or scratched records and use them to keep good ones in place. If you have smaller mattress springs (think baby bed mattresses or twin beds) you can use those springs to make really useful bulletin boards. This is actually a really neat project that you can customize however you want. Add a mirror, some shelves or just whatever else you want and then just sit the springs up against the wall near your desk. You can also hang it on the wall with some sturdy hardware which is great if you don’t really have floor space available. After you replace that broken door and before you throw out the old one, consider turning it into a glorious shelf. You can add fabric, batting and even lighting to create a wonderfully unique shelf that is as functional as it is lovely. The door can stand in the corner or up against a wall or you could add hardware to it for hanging. Older doors give you a great rustic look and you can add as many shelves as you need. 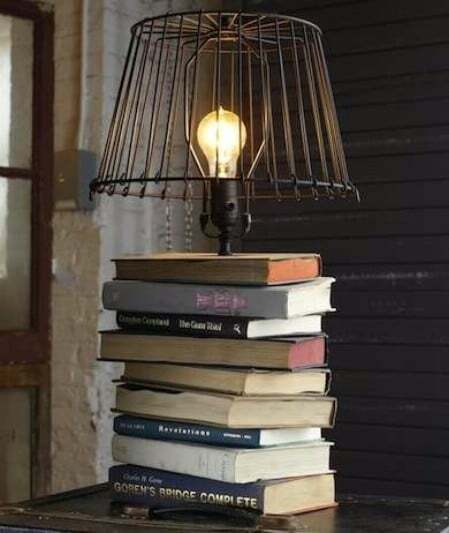 Plus, the lights help to illuminate your favorite books or collectibles. If you have a broken screen door and you are considering replacing it, keep the old one. You can use that door to make a very roomy and very attractive pot rack for your pots and pans. Just repaint or re-stain the door and then use chains to hang it from the ceiling. 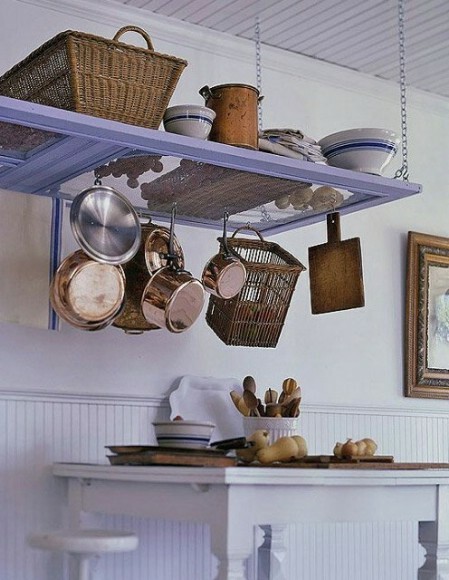 You can add hooks to the screen part for hanging pots and pans and keep lids or other items on top so you get loads of organization and all from that broken screen door that you were planning to throw away. 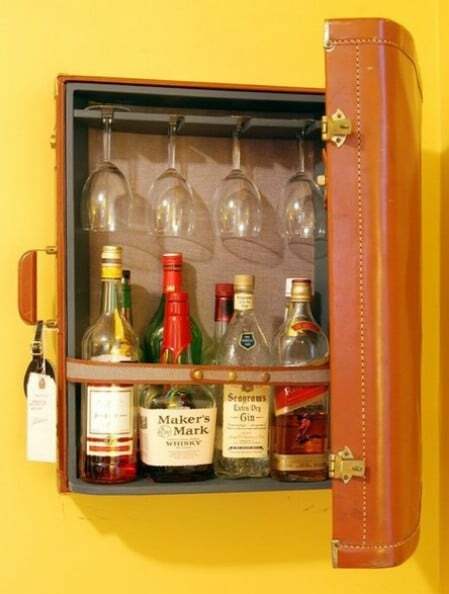 Forget throwing that old vintage suitcase away. Even when it’s broken, that suitcase can be used to create a great looking and fully functional medicine cabinet. Just clean out the inside, add some small shelves and you have the makings of a beautiful vintage medicine cabinet that will bring to mind those old traveling medicine men. Add screws to the back to hang it on the wall and if you don’t really need to close the door, you can attach it to the wall open and add shelves on both sides. If you have a few hardcover books that are missing pages or otherwise no longer being read, you can turn them into literal bookshelves. These are really neat and require very little work. 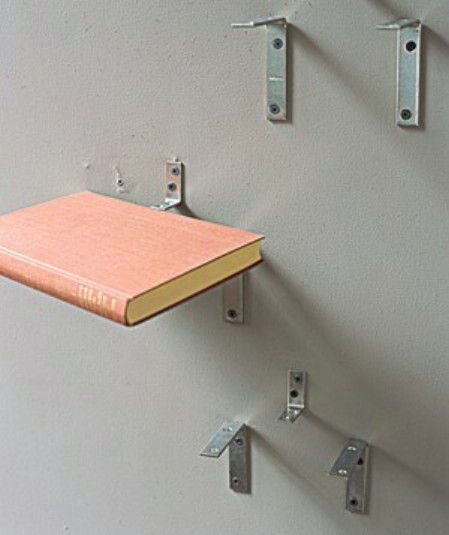 In fact, you just have to hang a shelf bracket and then slide the book in. You can create an entire wall of these “book” shelves in just a few minutes and they are great for the bedroom of your favorite bookworm. They also work well in hallways to hold knick-knacks or just anywhere you need them. 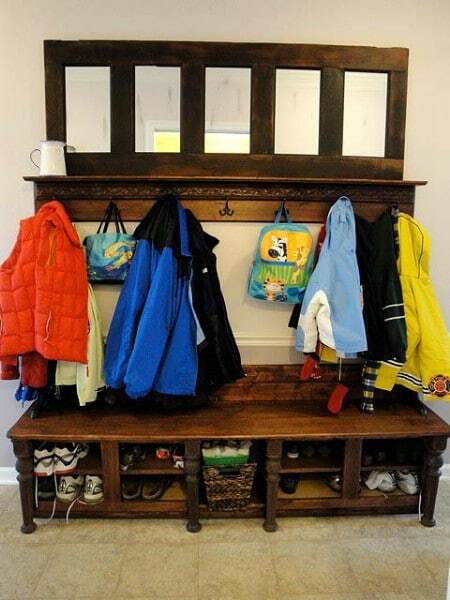 Take that old broken door, add a few coat hooks and perhaps some mirrored pieces and you have a beautiful coatrack that is perfect for your entryway or mud room. You can do this with even a small piece of a broken door and then just stain or paint it whatever color you need to match your existing décor. If you have an entire door, you could add shelving or create cubbies to hold shoes and other items in the mud room. 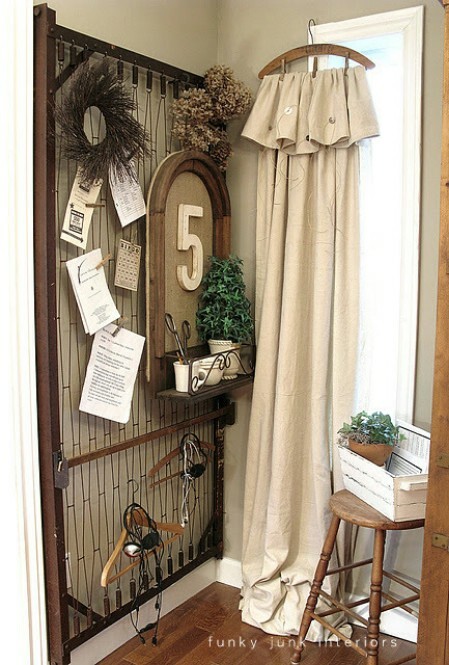 This is a great repurpose idea for old doors and for organization as well. If your closet is filled with torn jeans that you are tempted to throw away, think about making a few denim napkins first. You can create beautiful napkins with minimal sewing and these are great for summer cookouts. 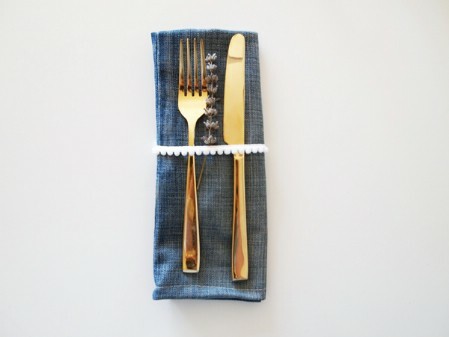 You basically just fold and sew the denim and you can create pockets for holding silverware. This is an easy project and one that you can work on with different materials so whether you have old jeans in the closet or any other clothing that is ripped or stained, you can make napkins from any of it. If you have an old console television that no longer works – or a smaller TV for that matter – you can use the base to create a beautiful new aquarium. You will need to be very careful when removing the electronic pieces of the television and when installing the glass and other aquarium parts. 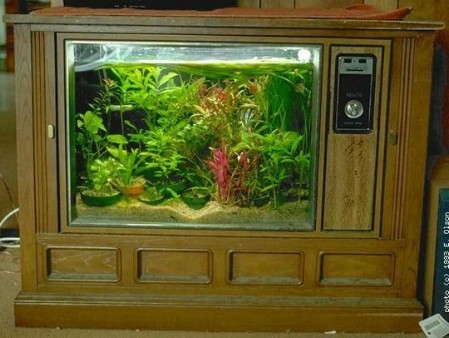 This is a great weekend project and if you do have a console television, you will end up with a great aquarium that sits on the floor. The top of the TV is turned into a lift-off lid so you can feed your fish and tend to the aquarium parts as they need serviced. Instead of trashing those tennis rackets when the insides come loose, turn them into sporty mirrors. You simply have to remove the netting from inside the racket and then add a mirror to fit that space. You may need to take the measurements (or the entire racket if it’s easier) to a glass cutter to get a mirror shape that will fit perfectly. 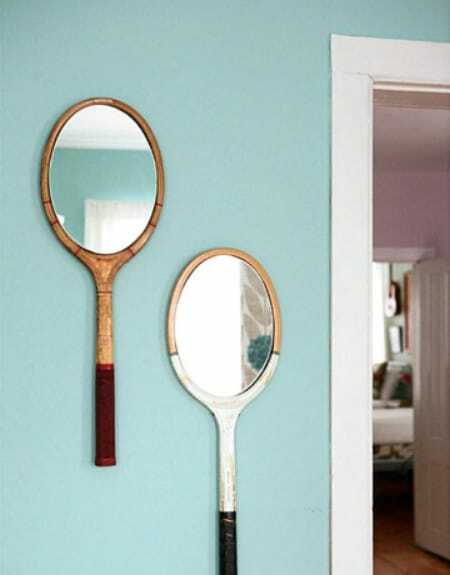 Then just attach the mirrors to the rackets and hang them in your little tennis player’s bedroom or anywhere in the house. When you have several tennis rackets that are no longer fit for use (or you could use badminton rackets for this as well) you can turn them into a really nice looking trellis for the garden. This is great for homes with tennis players and it gives you something to do with those rackets instead of simply throwing them away. You just have to gather and group your rackets together, prepare a frame for them and then assemble it. You can paint them all the same color or go with different colors if you want something a bit bolder. If you have a drummer in the family and you happen to have a broken drum set, you can make gorgeous drum lights. These are great for the bedroom of your rock star or you could use them in a family room or rec room, whatever you prefer. They are relatively easy to make and can be easily hung from the ceiling. The drums work perfectly as lights and are a great touch if you are looking for something a bit out of the norm for your lighting. Plus, it keeps you from adding those drums to your local landfill. If your gloves tend to only last one season before they rip or tear, you can make them last a bit longer by turning them into adorable stuffed animals. This is a great project to begin for the Christmas season as these little cuties make wonderful gifts for all the kids on your list. 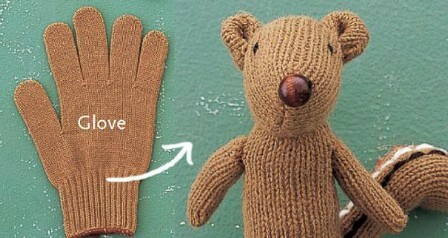 This is also a good project if your gloves have the fingertips missing because you will remove them anyway. You will have to do a bit of hand sewing but the project is really easy overall. Okay, so you would probably be throwing out those pop tabs with the cans, right? 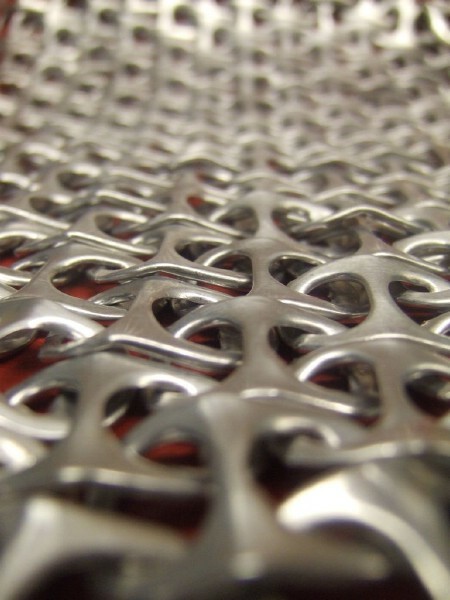 If you want, you can use those tabs to create a fabulous chainmail purse. It takes a little preparation and cutting to get the tabs ready but once you are done with that, you can simply put them together and create any number of chainmail items. You can do anything from a purse to a costume to picture frames or just about anything else that you can think of to create from your homemade chainmail. Okay, so they’re not technically broken but empty toilet paper rolls belong in the trash, right? Well, maybe not. You can actually use them to create stunning wall art so if you tend to like recycling, this is the perfect project for you. You can do this in any number of designs and the paint can be in any color that you need. No one but you will know that your elegant art actually began life as a cardboard toilet paper roll and you can help to minimize your trash by not having as many rolls to throw out every week. 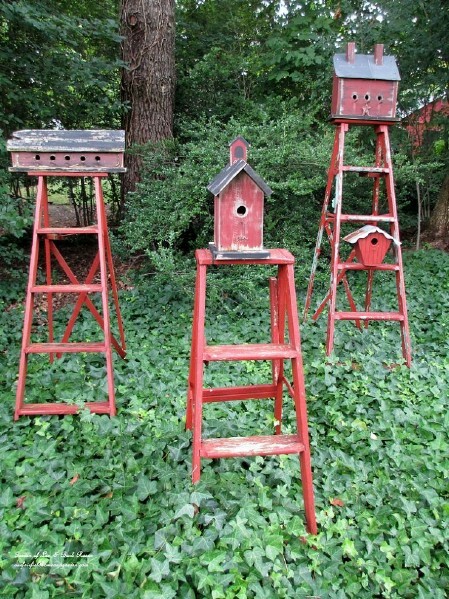 When your old wooden ladders are no longer safe for you to stand on, you can turn them into beautiful stands for your birdhouses. This works with ladders of all sizes. If they are wooden, just paint them or leave them as they are if you want something a bit aged and rustic looking. You simply have to sit the birdhouses on top of them and you may want to attach them with a screw to keep them secure. You could have these sitting all over your garden area. An old headboard and footboard can be used to make a wonderful corner bench for the little ones. 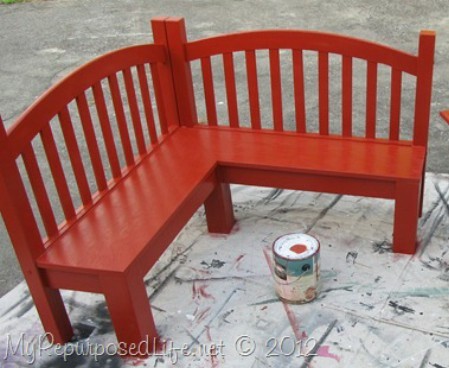 You just have to attach the two together, create the actual seat and then paint or stain the color that you want. Add a cushion and your little ones will adore sitting here to eat or play. You could use this in the dining room or put it outside on the deck if you need extra seating out there. It’s an easy project and a great way to use up those old parts from your broken beds. This is a great project for dressers that have several broken drawers. While you may want a couple of the drawers to work properly for use on the bottom, the rest of the dresser is basically removed to create the bench. You can then use the bench at the foot of your bed or even on a deck if you need additional outdoor seating. Paint or stain any color and create something that perfectly matches your existing furniture. This is an easy project that will take you less than a day to complete and keeps you from throwing out that broken dresser. If you have had your clothespins for long, you may notice that the wood has begun to chip or pull completely apart from the spring. Go ahead and pick up new clothespins but save those old broken ones to create stunning jewelry. This is such an easy project and one that doesn’t require any special tools. 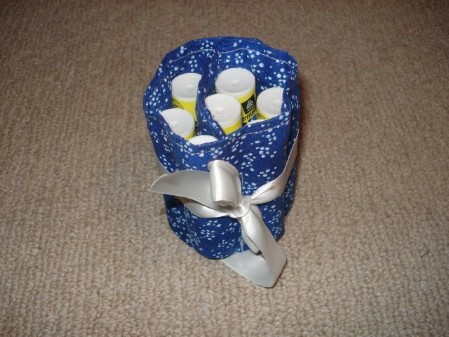 Plus, it’s a great gift idea that is not only cheap but allows you to use up those springs instead of tossing them out. You can create pendants, earrings or even charm bracelets with them. Take those broken or mismatched candlesticks and those picture frames that no longer hang or sit upright and create elegant pedestal frames that are perfect for gift giving or keeping all to yourself. 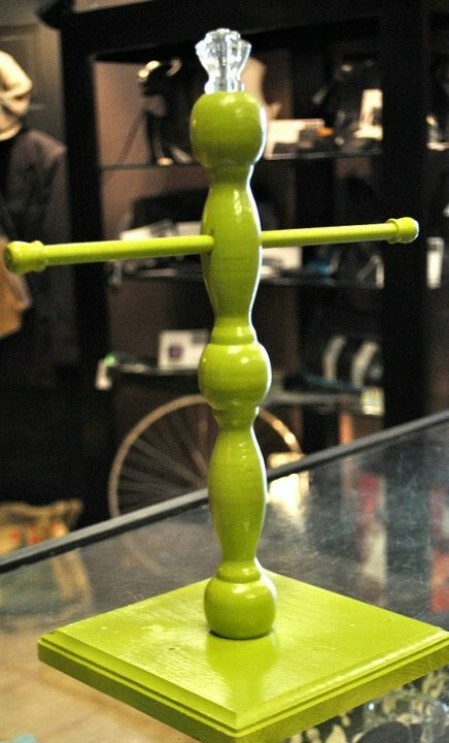 Just spray paint the frames and candlesticks the same colors and then glue them together once the paint has dried. 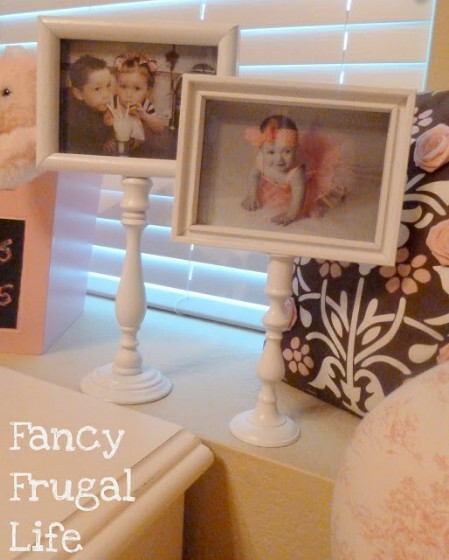 These are so very easy to make and are perfect for older frames that no longer want to sit where they should. 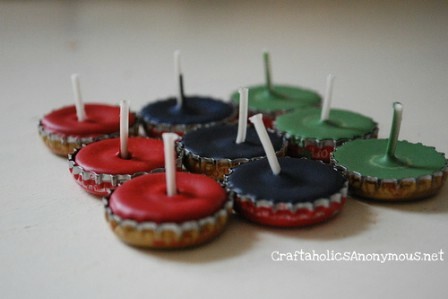 Plus, you can use those candlesticks that you don’t have any other use for. While you may balk at the thought of tearing up your old books, if you have any that are already torn then this is a great project. 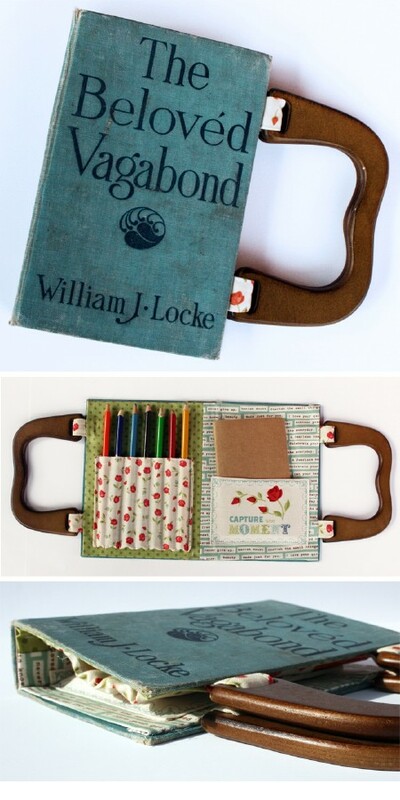 You simply hollow out those hold books and use them to store your belongings. You leave the outside intact so when you add them to your bookshelves, they look like real books. 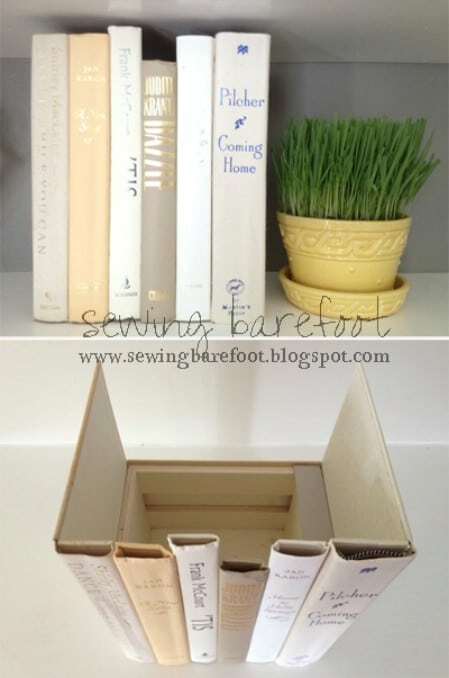 You can use them to store items safely out of view and they are really easy to make. You can do one at a time or create a little nook with several book covers. A broken door that you can’t really use on your home any longer is perfect for creating a colorful crafting table that your little ones will love. You just use the door as the top and then place it on cube organizers which work to hold all of your little ones’ craft supplies. Actually, if you made it tall enough this would even work as an adult’s crafting table so it just depends on what you need. You can cover the door with fabric or just paint it the color that you want. Have a broken shovel that you are planning to throw away? 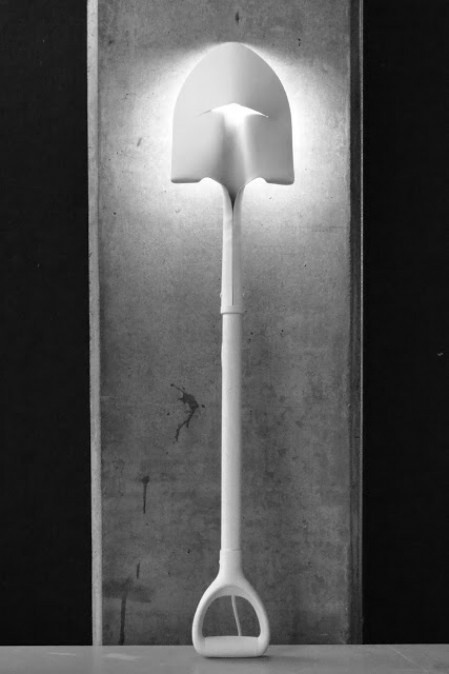 Before you do, take a look at this wonderful shovel lamp. It’s really easy to make and this is perfect for lighting up the pathway outside your garden area. Imagine the pattern that you could create if you had several of these. You could also use them for added lighting in the garage or in a workshop or just put them right there in the kitchen. You can spray paint your shovel whatever color you need so it’s easy to match the lamp to your existing décor. Basketballs don’t stay up forever. In fact, cheaper ones will begin losing air rather quickly and depending on the size of the hole in them, you may not be able to air them up again. When that time comes, you don’t have to toss them. You can make a fashionable and really cute bag from them that is perfect for any girl who is into sports. Note that you can do this with a volleyball or football as well so this is a great gift idea for your little cheerleader or a sports mom who is really supportive of her players. When you have a shirt or sweater that is torn or permanently stained, take a minute to remove the buttons before trashing the clothing. 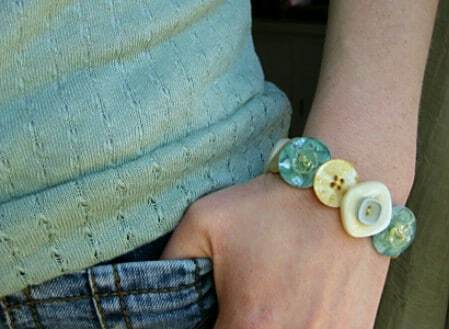 You can use those buttons to create beautiful button bracelets that are fun and would make the perfect inexpensive gift for someone special. 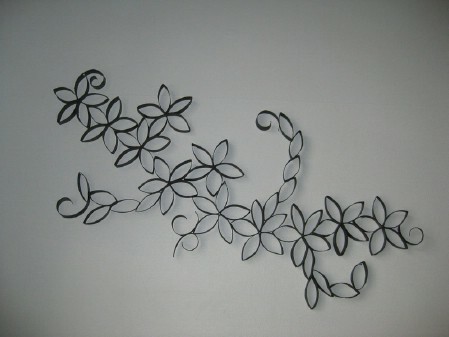 You just cut a piece of elastic in the size you need, sew the ends together rather tightly and then sew on the buttons. You can create any number of designs and patterns and each bracelet can be completely unique. Have some broken china that you can’t bring yourself to part with? Or, perhaps you have some vintage silverware that can no longer be used for eating but you just hate to throw it out. 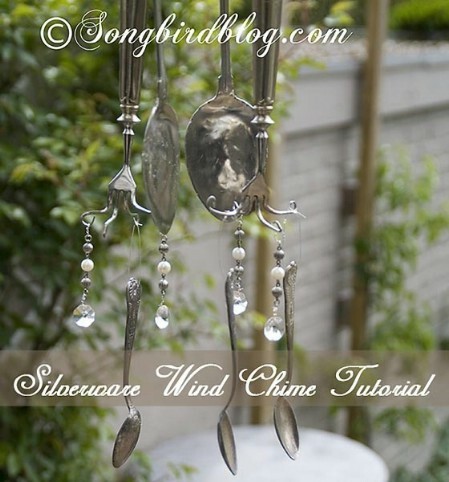 Use those pieces to make beautiful wind chimes that you can hang from your porch. This lets you keep those dishes that you don’t really want to throw away and they make a beautiful sound when the wind blows. You could also use broken costume jewelry as accents if you have any on hand so this is a great project for using up a lot of your broken household items. 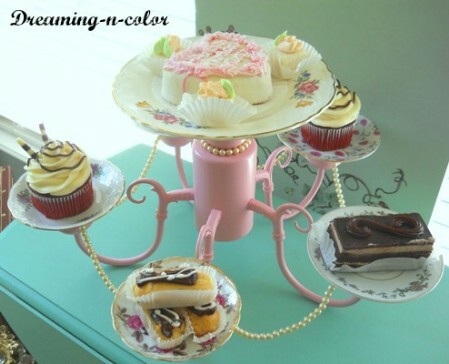 A broken chandelier (one that no longer works as opposed to one that is actually broken into pieces) makes a beautiful dessert tray. You will need to remove all of the hardware for the lighting from the base and each individual light. Then simply attach china plates to the places where the lights used to hand and use those plates for serving up your favorite desserts. This is a great project for upcoming weddings or is perfect for the Holidays when you want an elegant dessert tray. Broken costume jewelry like faux pearl strands are great for embellishing the tray. 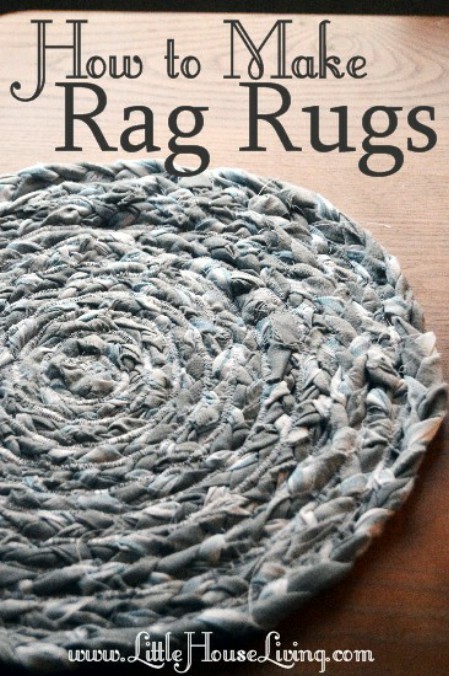 Those old t-shirts that are no longer wearable and just about any other clothing that you may have that is ripped or torn can be used to make wonderful rag rugs. This is also a great project for torn sheets and even curtains in certain fabrics. You can use different clothing materials and colors to create a multi-colored rug or use sheets and old blankets in the same colors for something a bit more elegant. These rugs are perfect for the kitchen in front of the sink or you could use them in the bathroom as bath mats. Before you throw those old doorknobs away, even if the doors are completely useless, you can turn the knobs into beautiful flooring for your outdoor patio. Actually, you can also use those old burners from your stovetop that no longer work and other items around the house that are broken or otherwise trashcan bound. The different finishes will give your patio a great look and the pieces are very stable when you set them in soil and surround them with your favorite outdoor plants. When your doors are broken and in need of repair, keep the doorknobs and use them to create these beautiful and very unique wine corks. All you need are the decorative doorknobs and some cork, which you can buy at any craft or hardware store. 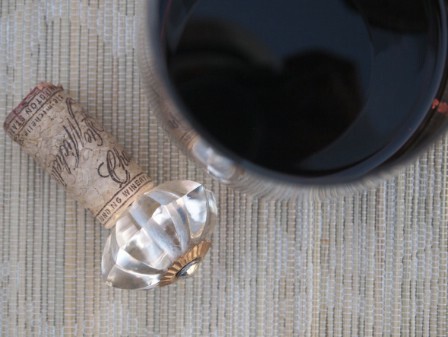 You could also just use the cork that comes in your wine bottles if you wanted. 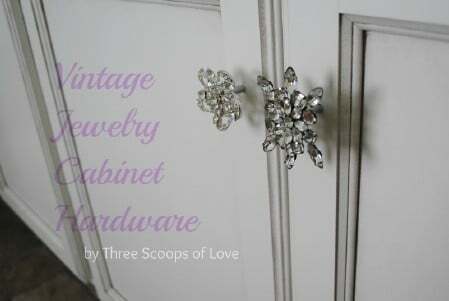 This works best with old knobs that have screws in them or you could use old cabinet pulls if they are decorative enough. You simply have to push the screw into the cork by turning and get ready because this could take a bit of time. The end result however, is well worth the effort. While tins cans aren’t really broken, they are useless once you get the food out, right? 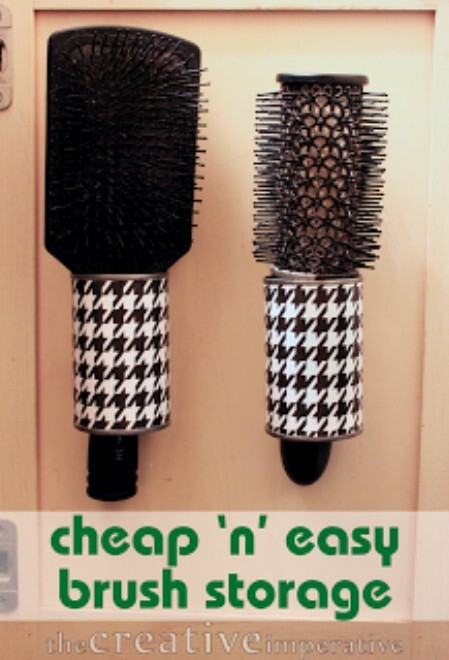 Instead of adding them to your trash heap, use those cans to make wonderful holders for your hairbrushes. You just have to remove both ends of the cans, clean them very well with warm soapy water and then cover them with Washi tape, paint, wallpaper or just about anything else you want. Fabric works very well and hot glue does a good job of holding your cover in place. Then attach them with screws to the inside of your vanity door and you have a great place for storing and organizing brushes. 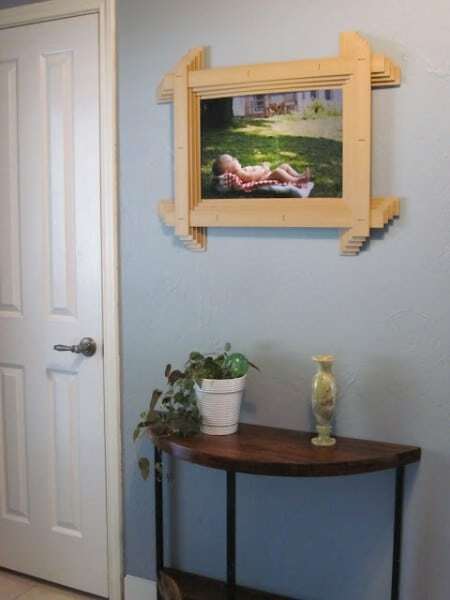 If you love the look of picture frame molding but aren’t really a fan of the cost, you can make your own with those old broken picture frames. If you have frames that have lost their backing or their glass has been broken, you just remove all of that, paint them the color that you want your molding to be and then hang them on the wall. You can use frames that are all the same size or create a pattern from frames of different sizes. This is a great look and one that seems expensive. Only you will know that you have salvaged trash to create it. When stair spindles are broken, they may seem useless. You can however, repurpose them into gorgeous jewelry holders that are unique and very creative. 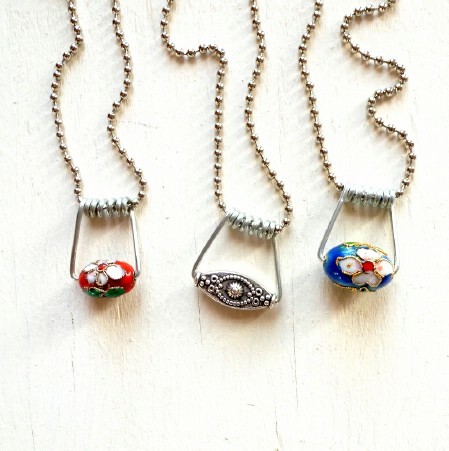 You just have to paint them, add a base and then use them to keep your necklaces and bracelets from getting tangled. If you are looking for a unique gift idea and one that won’t cost a fortune, this is a good one. The best part is you make it from something that you were probably just going to throw away. You could also use an old drawer pull or broken costume jewelry to decorate it. 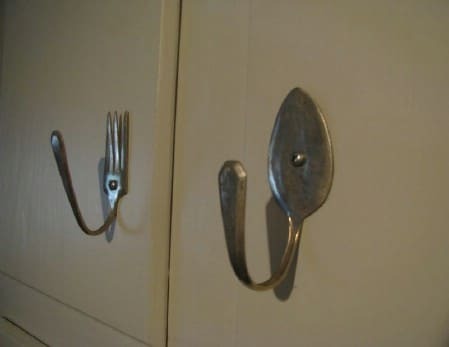 Instead of throwing out that old silverware when it bends or breaks, use it to make cabinet door handles instead. This is actually a really popular look and one that may cost a bit if you went out and bought all of those handles. Instead, you can make your own with silverware that you were planning to toss. If you have silverware that is tarnished beyond repair, simply clean it up a bit and paint it if you want to create rustic looking handles that look much more expensive than they are. When binders break, they are normally trash. After all, they’re really not that expensive and most people simply throw them out without considering what could be done with them. If you cut away the actual cover part, you can use the binder as a key holder. 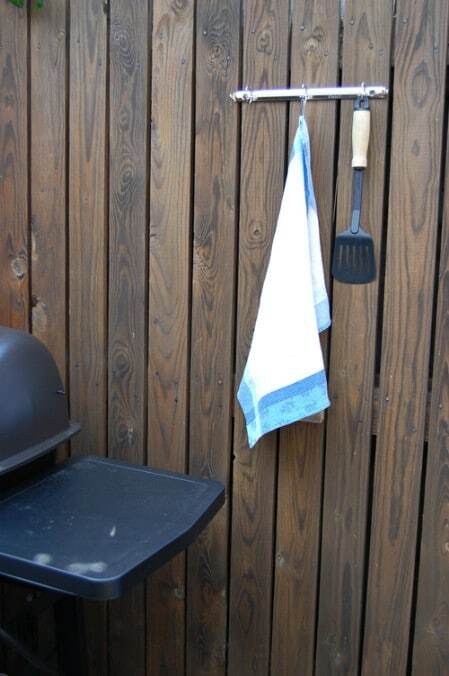 Just attach it to any wall with screws, which will fit nicely into the holes already in it, and then use it to hold keys or put it outside on the deck to hold grilling utensils, towels by the pool or anything else you need. You can paint it if you want or even mount a few of these onto a wooden base. There really isn’t a lot that you can do with an old piano when it stops working. You can however, create beautiful shadowbox type tables and depending on the size of your piano, you may be able to make two of these for the living room. You use the keys on the inside of the table to give it a really neat musical look and then cover with glass that you can have cut at your local hardware store or glass cutter. These are beautiful and help to somewhat preserve the look of the piano so you don’t really have to throw it all away. You can keep the best parts. Those old leaky buckets are useless when it comes to holding liquid but they will serve as holders for your outdoor eating very nicely. You just take some time to give the bucket whatever look you want and then use it for holding silverware, napkins or other solid items when you eat out. 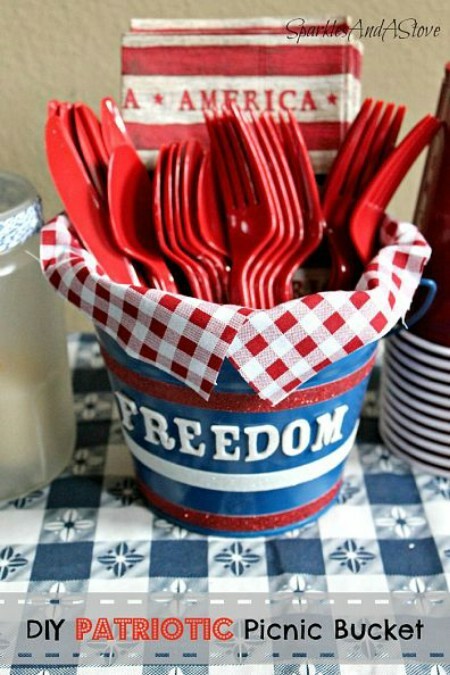 Give it a great patriotic look and use it for your 4th of July table outside. It doesn’t take very long to create something great out of an otherwise useless bucket. If you tend to buy things in glass bottles (like certain bottled waters or wines for instance), you don’t have to necessarily chuck the bottles when they are empty. 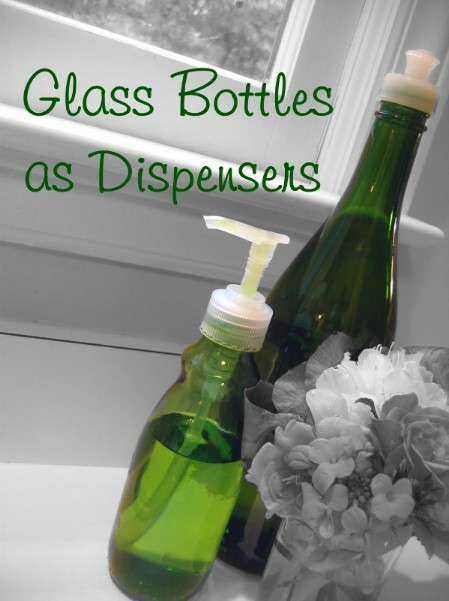 You can use them to make soap dispensers that are gorgeous and really functional. You will need to get some pumps which you can buy at a craft store or you could just preserve the pump from lotions if you want. Then just clean up and even decorate the bottles with broken jewelry, mosaics made from broken china or anything you want and fill with your favorite liquid soaps. 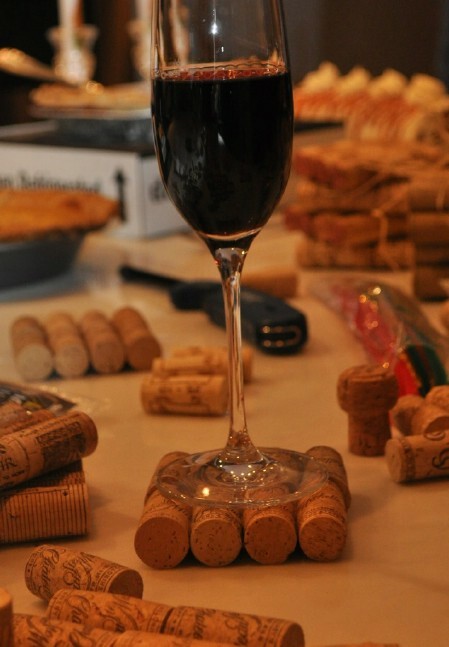 Instead of throwing out the corks when you are finished with the wine, use them to create great coasters. This is a great project for corks that no longer serve their purpose because they don’t need to be in perfect shape to make coasters. The coasters have a great beach-y look to them and they are easy to put together. You need a hot glue gun to attach them to each other and then just tie them off with ribbon or twine, whatever your preference. These are absolutely adorable and such a wonderful way to reuse those old corks. Once the bread is gone, you normally throw out the clips, right? Some people do use them for other things and if you are one of those people, this is a great Halloween project for you. You can turn those clips into adorable monsters that you hang on DIY garland to decorate for the holiday. 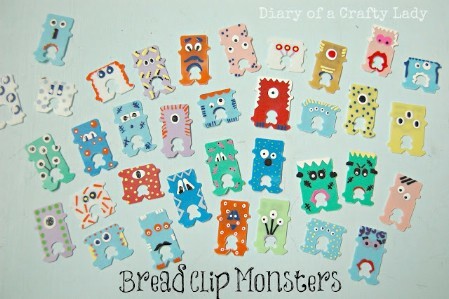 Just paint monster faces on your bread clips and this works with clips of all sizes, even the ones that may be broken or chipped. Once you have your monster faces done, just clip them all onto a rope or string for hanging. Okay, so normally you would throw out those plastic berry baskets, especially if they’re broken. 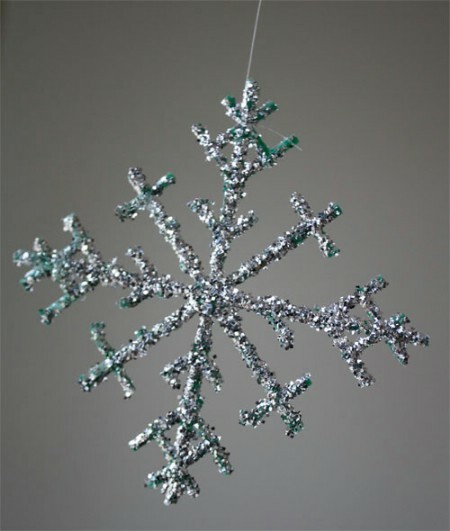 Before you do however, take a look at the beautiful snowflakes that you can create with them. 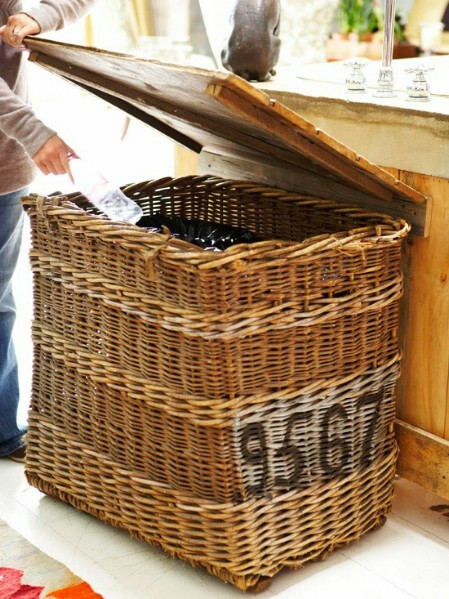 This works well even with baskets that are broken or ripped. You really just need the bottom of the basket and it’s ok if the bottom is a bit worse for wear as well. Just create the snowflake shape and then glue and dip in glitter. These are great for hanging outdoors for the Holidays or you could even use them to decorate the tree. I have many oldest items in my home so I want to do something with that. Would sure like to see the entire page on your links but the ads are over-whelming. Cannot remove them either. Connie, download “AD BLOCK” to block annoying ads. Fantastic list of ideas! Thank you for sharing! The broken crayon candle is a bad idea. I used to have a candle and gift shop and made candles for a living. While crayons are a type of colored wax, when the “candle” burns it puts off smoke. It also doesn’t burn right because the wicks are usually too small to get an accurate burn and if you try to scent it the scent comes off like burning chemicals. They do ok in an emergency though or if you just want something to look pretty. Instead, melt them and pour into shallow molds (jello, cookie, etc) let harden and remove. They come out as cute, shaped, multicolor or tye dye crayons. What can I make with old broken drawers? ….Planters? ….Shadow boxes? ….Under bed storage? These are awesome ideas! Creative people always have amazing ideas and find ways to reuse materials that other people would rather throw away! 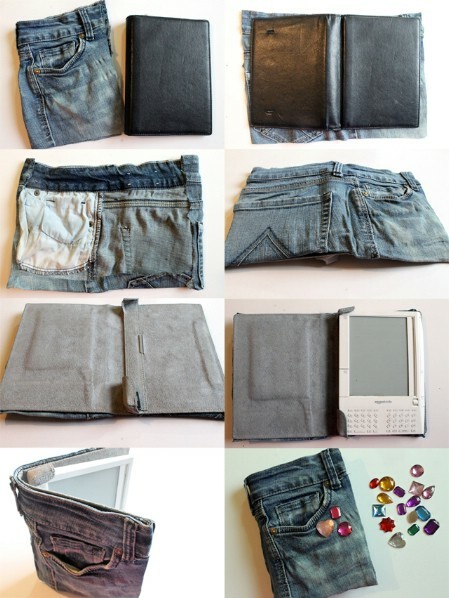 I feel really happy and inspired to see these great ideas and may be try to reuse some broken items in similar ways! Here is a cute info graphic about how we can reuse some random household items : http://visual.ly/8-items-reuse. Thank you for the great article! Thank you! You’ve got some very creative ideas! But do tell me how I can make use of old broken shoes? I cannot find tutorial on broken crock pieces turned into pumpkin.